Growing up in Canada in the 80s exposed me to many Euro inspired music groups and to be honest back then I wasn't that in tune with who was who in the music world so every once in a while I'd pick up on a group and think they were some avante garde, new wave group from the U.K. or France. Lime was one of those groups. Formed in Montreal in the early 80s by the husband and wife team of Denis and Denyse LePage, they took full advantage of the exploding electronic music scene and created a bunch of Euro-disco inspired tracks. 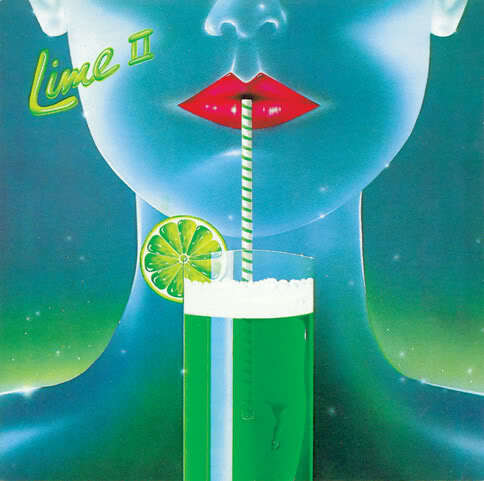 The story of Lime does have a few twists in it though (Lime twist.....get it ?....never mind) with some speculating that Denis and Denyse were in fact the same person that recorded both the male and female parts himself and used two attractive people to front the band when touring kinda like Milli Vanelli ended up doing years later. Regardless, they did leave behind some club classics. Babe, We're Gonna Love Tonight is one such classic from their second album Lime II released back in 1981. It reached #6 on the U.S. Dance charts in 1982 and the video has all the classic elements of music videos from the early 80s. Cheesy graphics, awkward edits, cheap effects, bad lip syncing, boring dance routines and the list goes on. Not sure if the couple in the video are the actual band or the "attractive" people chosen to front the band on tour. Either way though - this track sounded great in a crowded club and always got the party started back in the day.